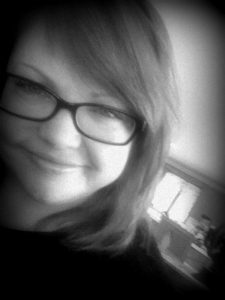 Cherie Burbach is a poet, mixed media artist, and freelance writer. She has penned and contributed to articles for Readers Digest, Family Circle, About.com (NY Times), NBC/Universal, Match.com, Christianity Today, and more. 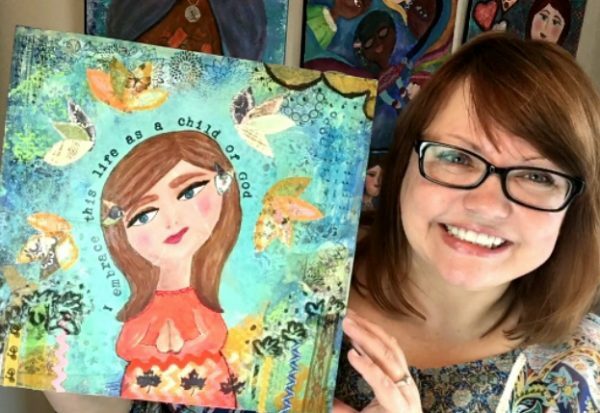 Cherie also likes to express herself with mixed media art, combining Bible verses and her own poetry with special papers, acrylics, oils, ink, and more. She includes book pages, music sheets, and other random things in her art to create something that celebrates a hopeful, faith-filled message. You can see some of her works in the online shop here. She is also a licensed artist. Please contact her if you’d like to use her images. Cherie has been especially inspired by the Psalms, and has created a series of ecourses called Painting the Psalms, which includes mixed media painting projects all inspired by the Psalms in some way. Each project is diverse in terms supplies, technique, and composition. 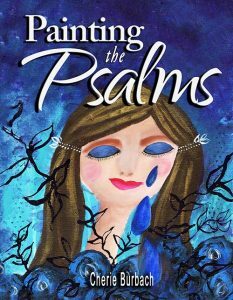 She is also the author of Painting the Psalms , which is part art book, part devotional. 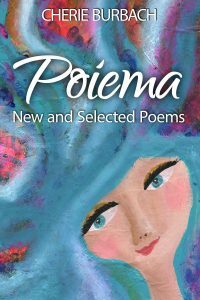 Cherie grew up in a rough environment, but God lifted her from all that, and she writes about His grace and love in her nonfiction and poetry. Her mission is to celebrate God, banish the shame of alcoholism, and help women understand their worth. 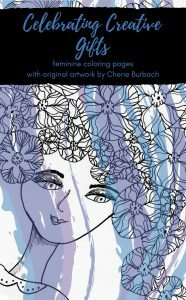 Readers have resonated with Cherie’s honest and inspirational “This I Believe” essay, which has remained one of the most popular on the NPR website. 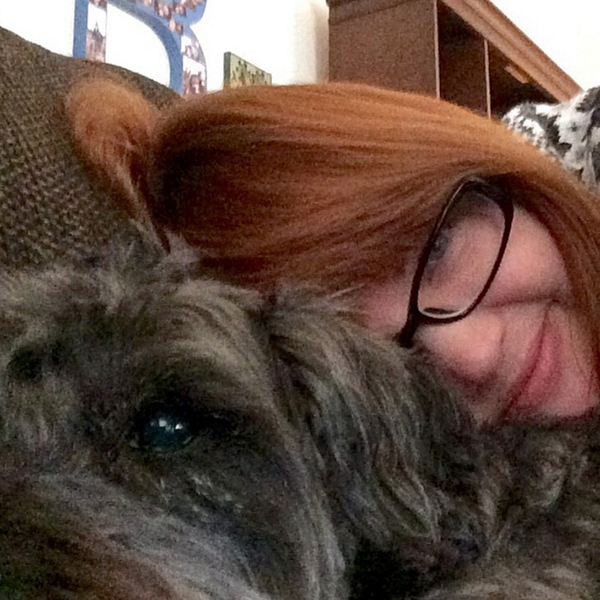 To hire Cherie as a freelance writer or artist, please use the contact form.